We had a great session with a young, energetic & visionary entrepreneur, who recently launched a brand, which has become the talk of the town now “SABROSO”. A passionate young throb; Mr. Salman Sabir did his graduation in mechanical engineering from USA and joined business in early 2015 with an objective to further translate his father’s vision. 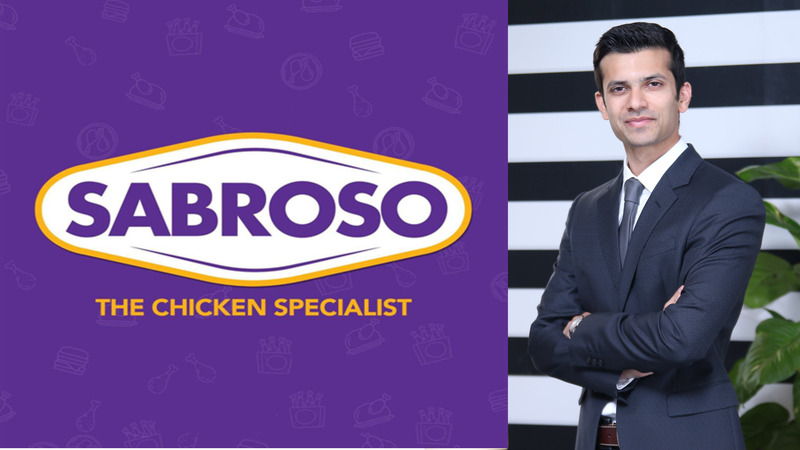 With a belief that one just need a vision, and willingness to take a leap of faith, Mr. Salman Sabir initiated the poultry processing plant under the dynamic leadership of his father. In his role as an Executive Director, he is managing the overall business of the processing plant with keen interest & involvement in production and sales marketing of the brand. Brand Voice: Tell us about your Educational Background and Professional Journey so far ? SS: I did my high school from International School of Choueifat and then went to University of Arkansas, USA and did my bachelors in Mechanical Engineering. Even though the family business was in poultry but I since Math and Physics was my passion, wanted to look at the industry from a different angle. In addition to that, our processing plant was under construction and I always wanted to head that division. Hence, since the plant was all engineering, I decided to pursue my bachelors in that field as well. I came back to Pakistan towards the end of 2014 and with only one day of rest, I joined the business the following day. Sabroso was a developing baby for which I was given the responsibility to make it grow. Brand Voice: Please tell us something about your newly launched product “Sabroso” in Pakistan ? SS: Sabroso is a new frozen food brand in the market that offers a variety of ready to cook/ready to eat products. We are also proud to introduce for the first time in Pakistan, ‘Chicken Donuts’, our very own innovation in its sweet taste. Brand Voice: Do you have your own Poultry farms Or do you import Chicken ? SS: We are a fully vertically integrated group, with our own breeder/broiler farms, feed mills, hatcheries, and a processing plant. In addition to that, we have a highly state of the art quality control lab. This gives us the advantage to monitor everything so that the consumer is getting something which is totally hygienic and free from any sort of disease. Brand Voice: How do you maintain the quality of your chicken. Do you meet the International standards of Poultry Chicken ? SS: We have a whole department dedicated to quality and we thrive on bringing the best of the best to the market. We know the exact farm, the exact shed, and the exact flock of birds that will be slaughtered at the plant so that we get the healthiest of the healthy. When the birds come to the farm, again they are inspected for any sort of disease like symptoms so that they can be segregated then and there. We have a state of the art equipment and machinery installed from world renown companies. Along with that, we have a team of qualified experts who monitor the process throughout. Furthermore, our plant is HACCP, ISO 9001:2015, FSSC 22000, and HALAL certified. We made sure that all of the process goes under the exact international SOP’s standard. Brand Voice: How do you feel being a director of the emerging product “Sabroso” in a very young age ? SS: This experience is beyond anything I can describe. Ever since I was studying in the US, it was always in my blood to come back to my country so that I can contribute whatever I learned abroad, over here. I literally came the next day and with only one day of rest, I joined the business. It had been such an amazing experience and I have learned so much over the past 3 years. I have been blessed with an extraordinary team and to top it all, I have been blessed with the greatest boss, who is also my mentor. That person is my father without whom, I can never be the person I am today. Brand Voice: How do you describe your product and on what basis It is better than your competitors ? SS:We believe in serving the best top notch products to our customers. We have developed our recipe with one of the most world renown ingredients companies in the world where we can ensure product consistency and continuity at all levels. In this way, the taste and quality cannot get compromised. As far as other competitors are concerned, I will let the consumers decide for themselves, how we are better than the competitors. Being better is a very subjective thing, some people may like one product and not like the other. So, it’s always best for the people to decide which is better. Brand Voice: How was your recent Media Campaign ? Did you get the desired results after the massive launch campaign of Sabroso ? SS: With the grace of God, the media campaign was a huge hit and we received a massive positive response, one that was out of even OUR expectations. In fact, the first two weeks were so overwhelming that the whole team had to work late nights due to the immense response. Brand Voice: How do you see the Digital/Social Media Revolution in Pakistan as compared to the world and how important is this tool for you ? SS: I feel that digital IS the future. You can see that over the years, social media viewership has grown exponentially! Even if I have to search for anything, I always use digital as my source of information. I hardly even watch television. Most of the brands that I get to know of, is through digital. Nowadays everybody wants to watch their favorite tv shows on youtube, and know what their friends are up to, through facebook, twitter, or instagram. So yeah, I believe digital will be the biggest medium in the future. Brand Voice: Where do you see Pakistan in next 10 years ? SS: I believe there is a HUGE potential in our country. I know some people might think that we have nothing to gain from over here, but I believe its completely the opposite. We have everything to gain and we surely can! Our private sector is growing day by day and foreigners are really looking for investment opportunities in Pakistan and I am sure that in 10 years we will definitely be on the brighter side. I have heard this saying in a movie and it is my most favorite saying, “The night is darkest just before the dawn”. I believe Pakistan’s dawn is coming. Brand Voice: What is your message to students and young professionals ? SS: One thing I would say is, never ever forget your country. This is the country that need people like you. If brilliant, educated people such as yourselves will leave the country and work in a foreign land, our country can never prosper. I know things may seem dark but only you guys can bring the light. You are the future, you are the ones that will make this country an example for the rest of the world! And Inshallah, that day is not far.